On a physical level, medieval Alchemy was about transmuting base metals into more precious metals, such as silver and gold. On a spiritual level, Alchemy is about personal transformation - transmuting lower human energies, qualities and consciousness into higher, more Divine energies, qualities and consciousness. One of the most powerful tools available for achieving Spiritual Alchemy is Vibrational Medicine, in the form of Universal Energy. Universal Energy could also be described as spiritual healing energy. 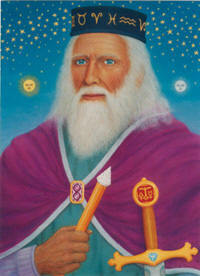 Vibrational Alchemy is a research and development house for natural healing systems based on Universal Energy. 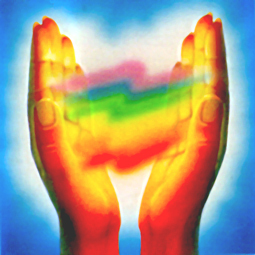 If you have already experienced Reiki or are a Reiki channel and enjoy working with Universal Energy, you may be interested in discovering new healing systems available in this area. 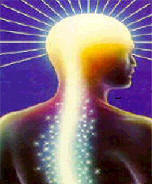 If you are not familiar with Reiki, see Reiki. I am currently offering training in 3 new healing systems I have developed, based on Universal Energy - Ka Shen Sekhem, The Reiki/Sekhem Personal Growth Accelerator and Shi Zen. I offer free distance attunement for the initial levels of these systems to people anywhere in the world. I hope you enjoy reading about these systems on my website. Thank you for visiting Vibrational Alchemy. If you have come to this page from a search engine (e.g. Google) and there is no Contents menu showing at the left of the screen, click here to see the complete website.